Slow-moving storm cells that have been circulating throughout the area Wednesday have led to an overnight flood warning in part of Virginia. The storms have produced frequent lightning and have been capable of 1-2 inches of rain per hour. Some storms have had the potential to produce small-to-nickel-sized hail and strong wind gusts, some strong enough to bring down large tree branches. The heavy rain can reduce visibility to less than a mile and cause ponding on roadways. While southern Maryland didn't get the heavy rain throughout the day, some storms were developing over the Potomac about 10:30 p.m. and moving through St. Mary's County as things started to calm down in the rest of the region. A flash flood warning for Manassas, Manassas Park, central Prince William County and east central Fauquier County expired at 10:45 p.m., but a flood warning was issued for Manassas, Manassas Park, central Prince William County until 4:45 a.m. 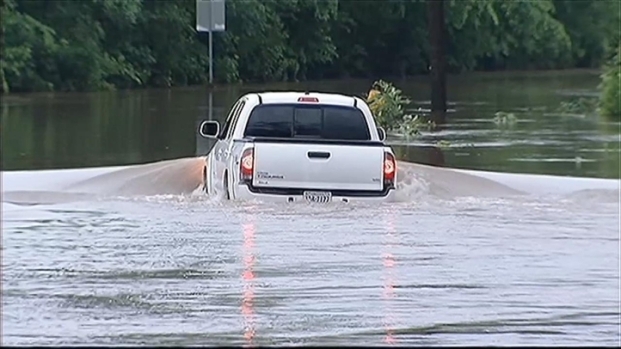 Flooding Problems in Prince William Co.
A man had to be rescued after his truck got stuck on a flooded street in Bristow. News4's Megan McGrath has more. One person became stranded in a vehicle on Logmill Road in Haymarket but was able to get out before rescuers arrived. At about 9:30 p.m. at Lucasville Road and Hidden Spring Road in Manassas, a pickup truck and a car became stuck. The person in the car have to be rescued by the fire department. 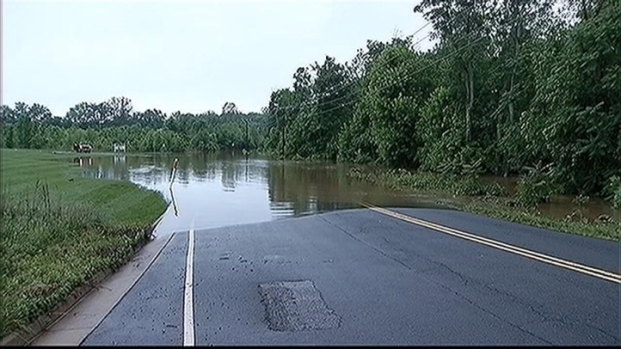 Overnight rains have caused major flooding in Bristow, Va. News4's Megan McGrath is on Piper Lane with more. Little River Road in Prince William County near the Loudoun County was closed Wednesday night due to high water. Several other roads in the county had high water but were passable, while a large tree is in the roadway at Bristow Road and Doug Drive. 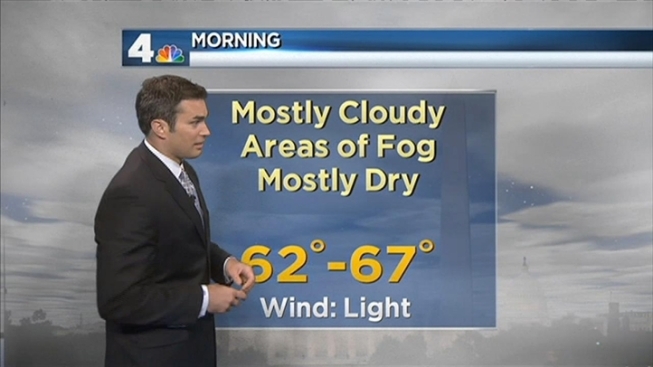 Thursday morning will be mostly cloudy and mostly dry with fog. There's another chance of scattered showers and storms and locally heavy rain Thursday afternoon, similar to Wednesday's weather. An earlier flood warning for Manassas, Manassas Park and Prince William County expired at 10 a.m. Wednesday after a number of roads were closed earlier due to runoff from rainfall. The same areas were under a flood watch for much of Tuesday following flooding Tuesday morning. In Prince William County Tuesday, two homes had to be evacuated when water levels at Lake Jackson Dam had risen above normal levels, but the water receded to a safe level Wednesday morning, and the residents were told the evacuation was no longer advised. When these storms move out of the area, a heat wave will move in for Memorial Day weekend. Expect high temperatures around 90 degrees and continued humidity.